The project is located in East Java, Indonesia; set up in 2009.The customer is an engineering company in Jakarta. Capacity of this feed mill is 30000 tons/year. It makes feeds for poultry, cattles, etc. 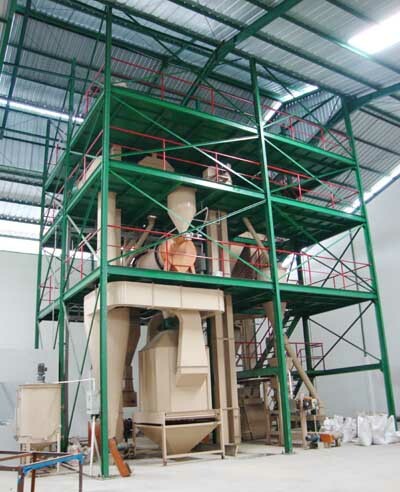 The equipments are designed to process local raw materials which are quite different from other countries. The plant has been running in good condition for several years.